153 commutations of sentence granted today. Obama remains second to Woodrow Wilson, whose commutations were generous spread across his 8 years as president. 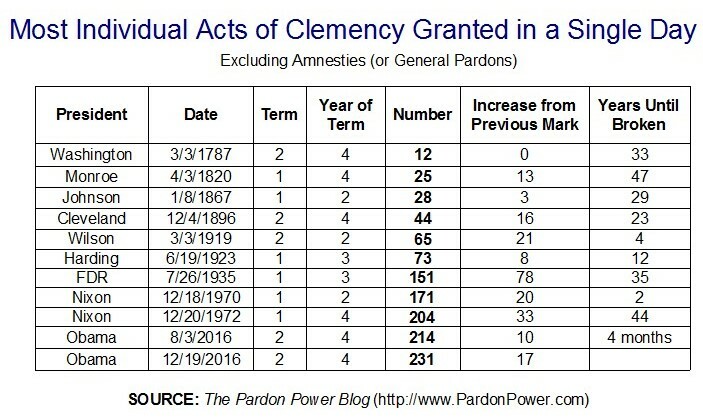 78 pardons also granted. 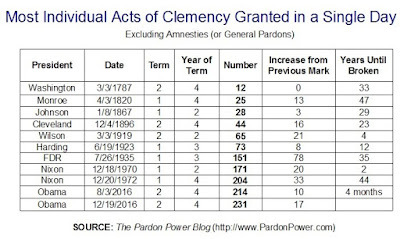 Obama now has 148 pardons, passing George H.W. Bush, but no other modern president. He does however, break his own record for the largest number of individual grants of clemency in a single day. Didn't think he would grant clemency while on vacation in Hawaii. Glad I was proven wrong.